and three small clip on Moosh-Moosh. I love Plushies--especially those you can squish and use as a pillow! There are so many to chose from! 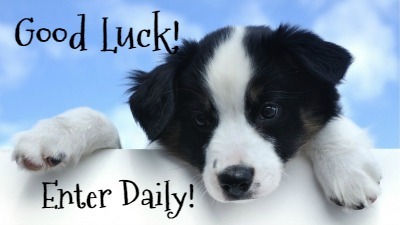 They will surely give love and comfort to anyone who is lucky enough to own one! 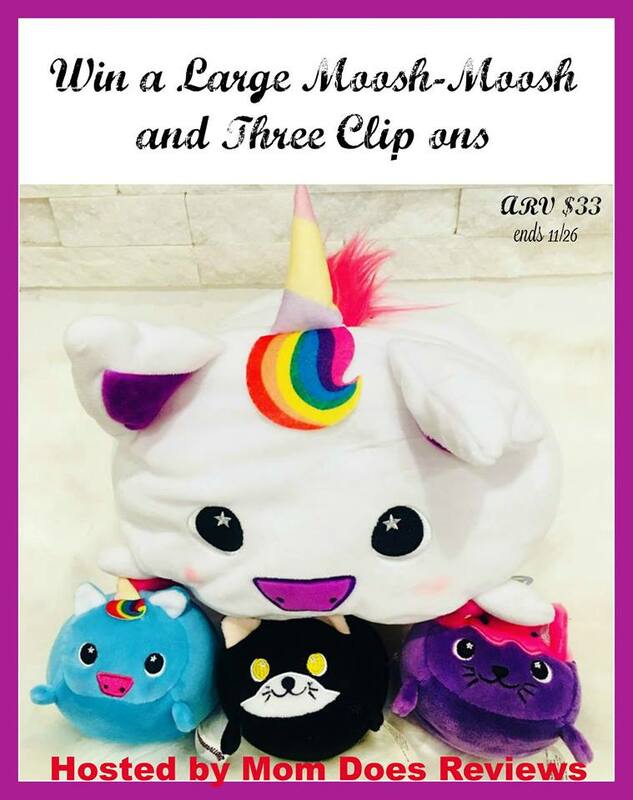 Misty reviewed these lovable plushies in full--click in below to read her review then be sure to come back and enter. Definitely a gift that will be appreciated! 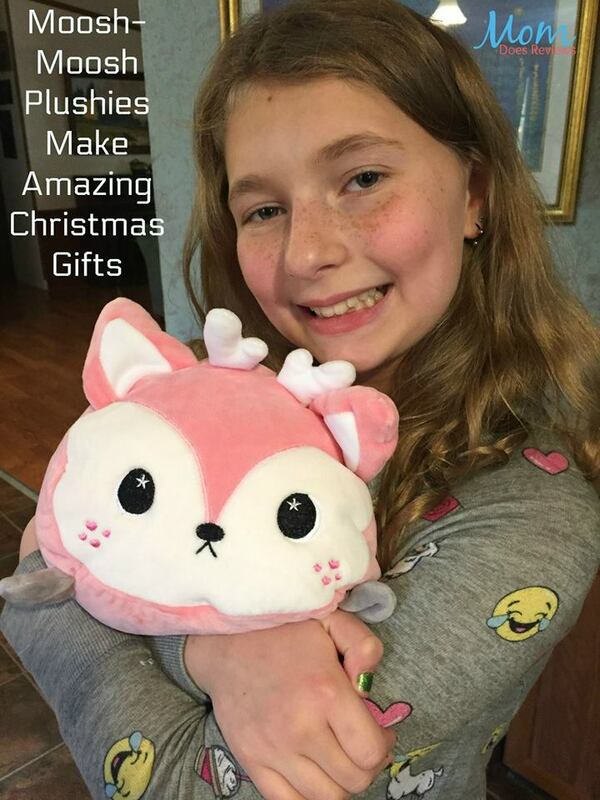 These soft plush buddies are great for bedtime, cuddles on the sofa, trips in the car, sleepovers, and so much more. They are 100% polyester, with a super soft marshmallow-like texture. 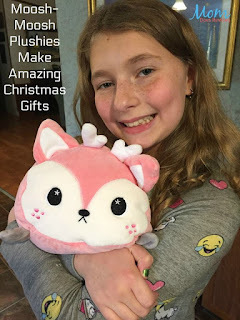 These stuffed toys will make the perfect present this Christmas, you can snuggle, squish, or stack them. Start a fun collection, and have adorable friends with sweet eyes to keep you company. There are over 72 styles to choose from online, or you can find them in neighborhood stores such as Party City, Staples, JOANN Stores, and AC Moore. Once you see how soft and cuddly they are, you are sure to need one or eight to take home with you. They come in three sizes: large-12", medium-8", and clip-on-4". To see what Misty thought of Moosh-Moosh, check out her full review here. One lucky reader will get to pick their very own large Moosh-Moosh, and three of the clip on Moosh-Moosh! I received an entry in the giveaway form for helping to promote this giveawayAll opinions expressed are my own honest opinions. For more information please check my Disclosure Statement. Our giveaways are in no way sponsored or promoted by Facebook or Google. 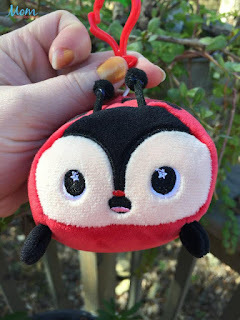 The lady bug moosh-moosh plushie I really like. I'd have a hard time choosing between Doe and Kandy Kat. I like the unicorn one and think that is my favorite. Thanks so much. Crush The Shark is my favorite. So cute!